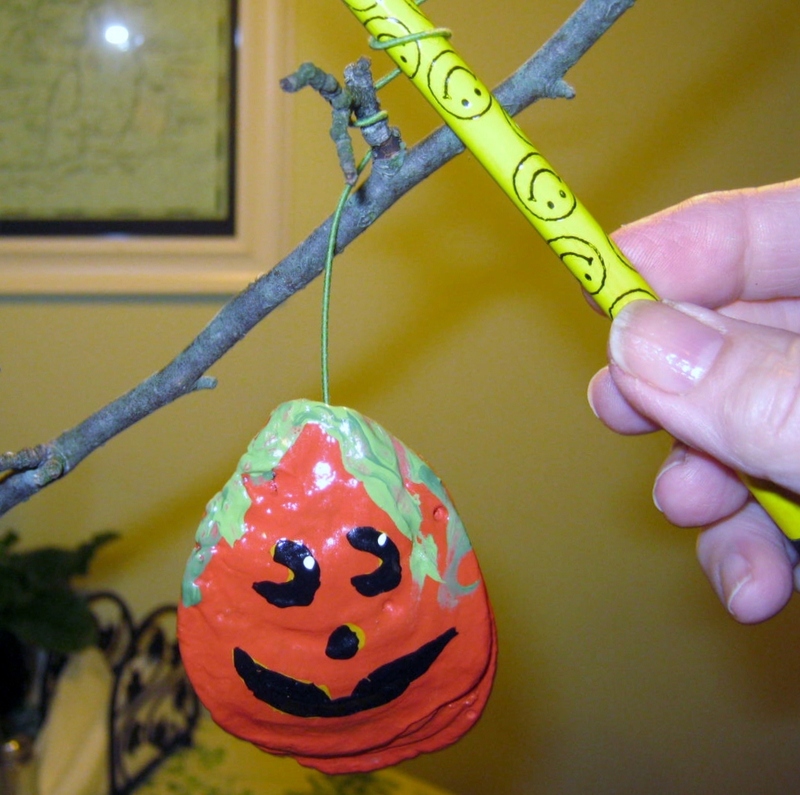 The next step in the project is to attach a green floral wire to the back of each Jack O’ Lantern with a glue gun or other strong-bodied glue. First, I twirled the wire into a tight circle to give it more gripping area for gluing. Wire has more stability than string, and you can twist and manipulate the object you are hanging into the perfect position. I think I am going to cut away all the strings from my Christmas ornaments this year and replace them with green wire. 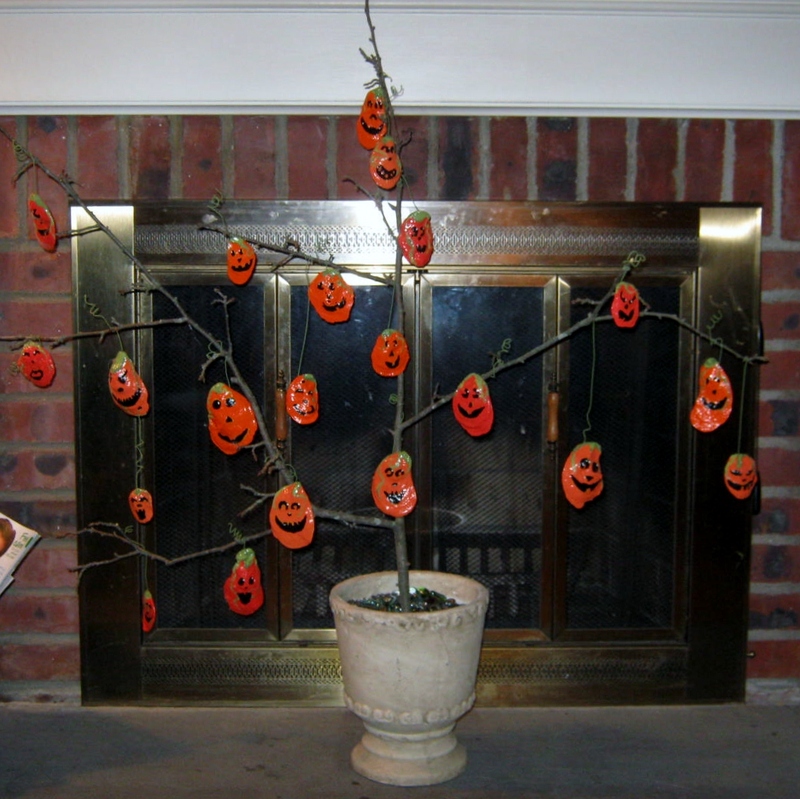 At this point I went outside and chose a nice branch from my crabapple tree. Any tree branch will do, but I especially liked the crabapple twig. 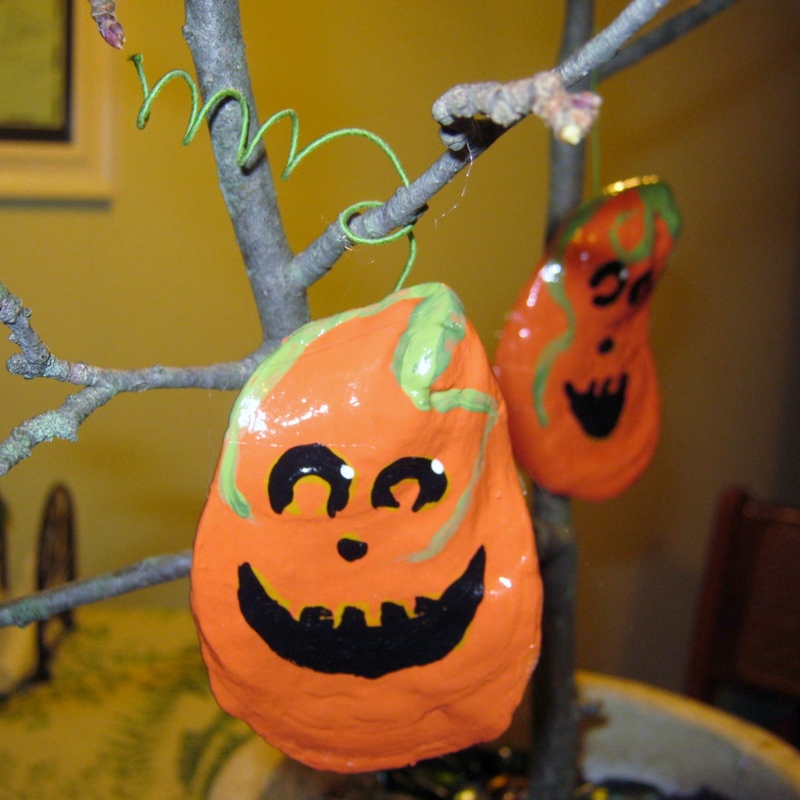 It is sturdy, yet it has many little outcroppings of branchlets to hang the ornaments upon. A decorative, neutral colored urn was my container of choice. Any medium-sized pot will work, a large coffee can, a beach bucket, etc. 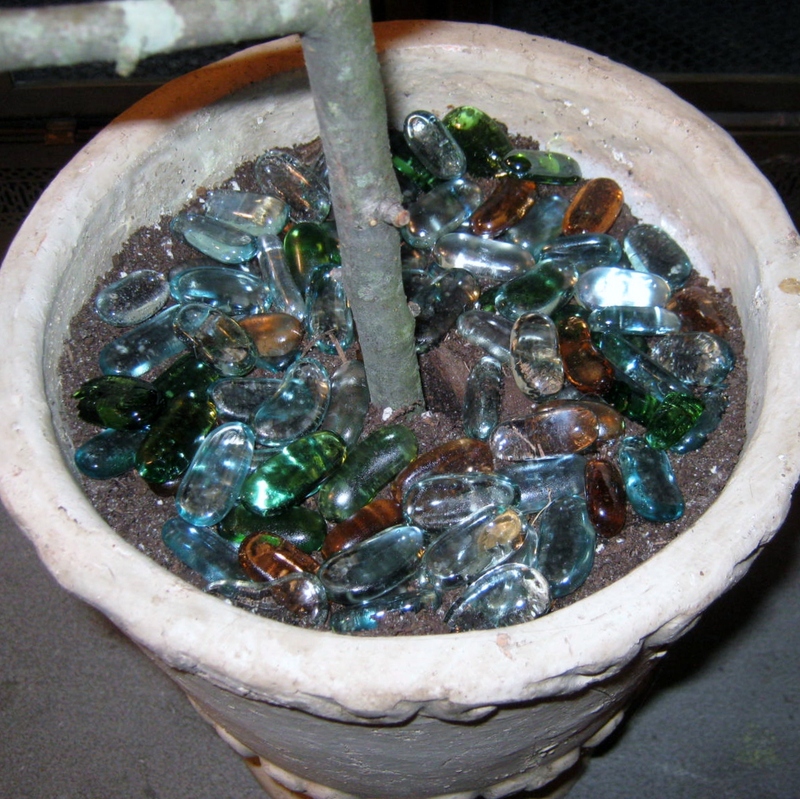 I filled the urn with potting soil, inserted my branch, firmed up the soil around it, and added a few decorative glass pebbles from the dollar store just for aesthetic appeal. Now comes the fun part! 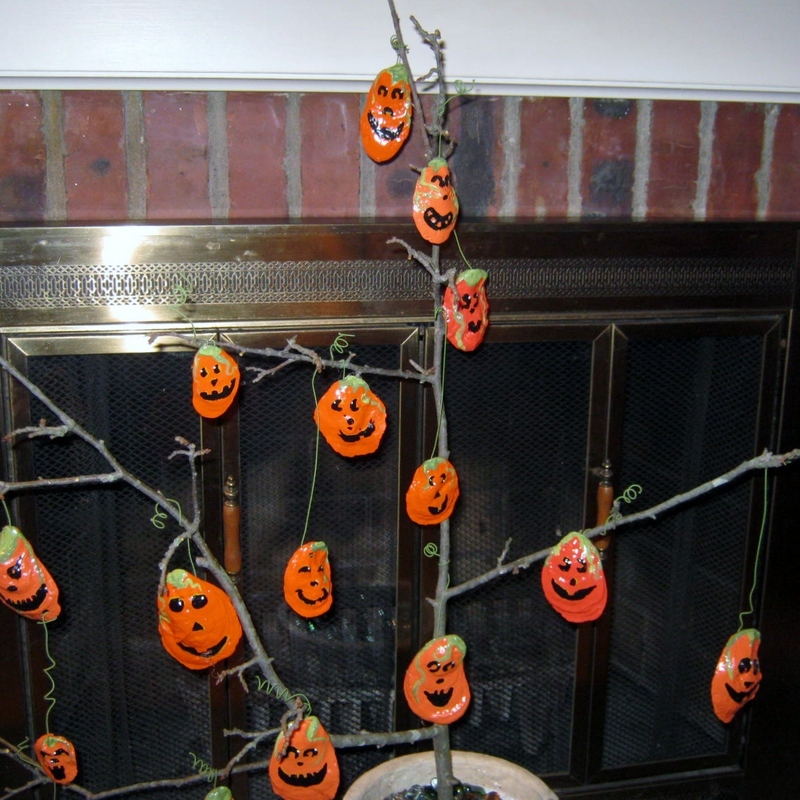 I twisted each Jack O’ Lantern’s wire around a branch, and twirled the excess around a pencil to give it the look of a vining tendril. 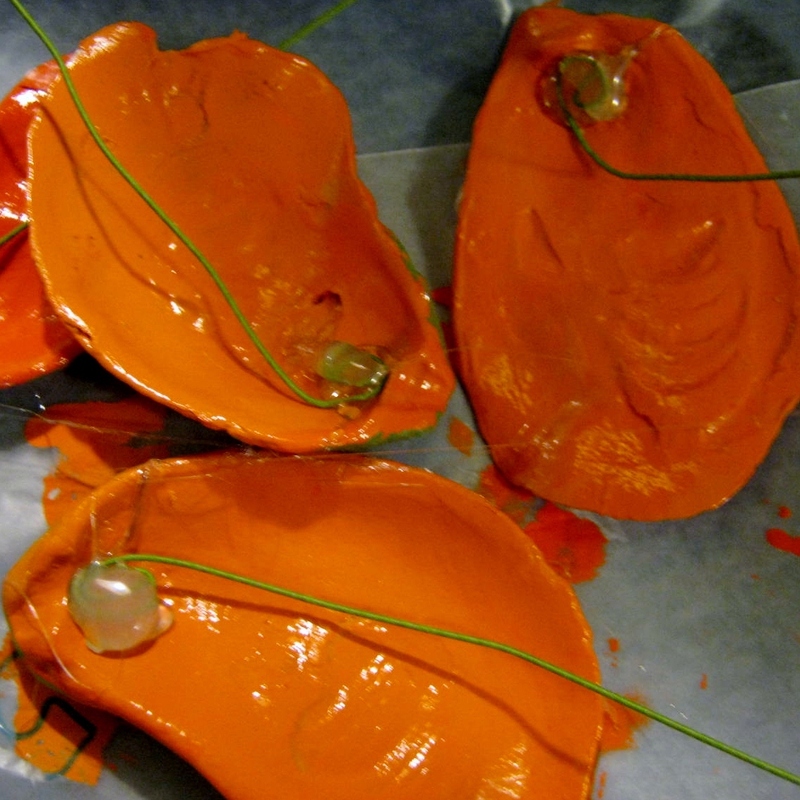 I think the oyster shells look very happy in their new role of Jack O’ Lanterns. Happy October to you and yours! They are cuter in person than in the photo!